Weekly genetics review: Are recent record bull sale prices sustainable? LAST year around 20,000 beef breed bulls sold at auction in Australia at an average price of $7237 – an industry high never before achieved. Indications are that the 2017 average might again go close to that. It’s easy to point to better seasons after two years of drought, high prices for commercial cattle and protein-hungry international buyers as the reasons, but will the bull market be oversupplied, and are the prices recently being paid sustainable? And how much are bull prices affected by the Eastern Young Cattle Indicator (EYCI), as a proxy for commercial cattle values? 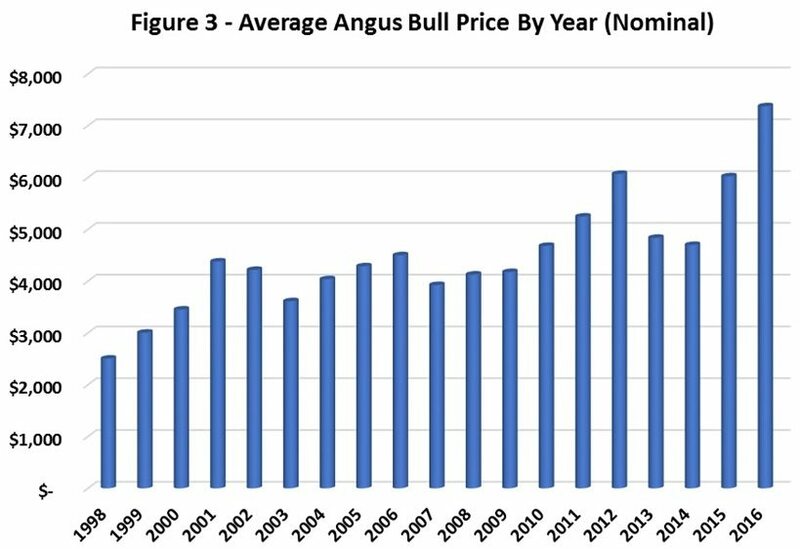 Angus Australia’s technical manager Andrew Byrne has attempted to answer these questions, within his breed at least, by looking back at Angus bull sale results over the past 20 years to seek-out trends that affect prices paid. As Angus bulls comprised 40 percent of all bulls sold at auction in 2016 (that figure does not take into account the very large number of paddock bulls sold in northern Australia), these findings should be heeded by all bull breeders, regardless of breed. 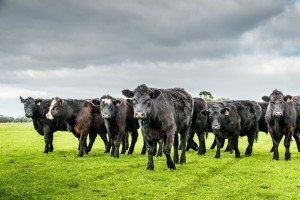 During those past 20 years, Angus seedstock producers have wound-up their bull production – some dramatically – to take advantage of burgeoning demand. ‘The market will be flooded,’ has been the frequent cry, but has it? Mr Byrne believes that with demand for Angus bulls at an all-time high, and the auction prices being paid at levels not before seen, it was timely to reflect on what has occurred within the Angus bull selling market. Reflecting the increased market share of Angus cattle in southern Australia, and the increase in the number of Angus bulls being used in northern production systems, the number of Angus bulls being sold at auction has increased considerably over the past 20 years. In 2016 a record number of 8405 Angus bulls sold at auction, a 128pc increase on the 3685 bulls that were sold at auction back in 1998. The bulls grossed $62 million and $9.2 million in those years, respectively. 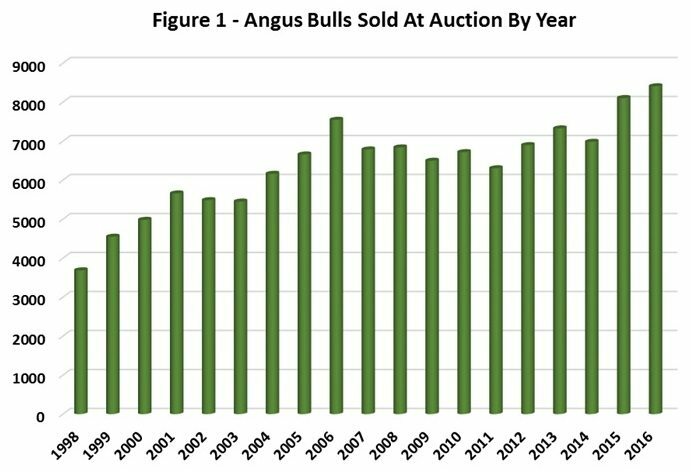 A breakdown of the number of Angus bulls sold at auction by year is presented in figure 1 below. These statistics do not include private paddock sales, which some observers suggest could double the numbers sold in some breeds, if included. New South Wales has been, and remains the premier state for Angus in Australia with 49pc of Angus bulls sold nationally at auction in 2016 being in NSW, followed by 19pc in Victoria, 13pc in Queensland, 9pc in Western Australia, 7pc in South Australia, and 4pc in Tasmania. By way of comparison, here are some MLA 2016 figures for overall beef herd size in each of those states, and the percentage they represent of the overall national herd of 27.4 million: NSW 5.6 million (20.4pc); Victoria 4.1m (15pc), Queensland 11.3m (42pc), WA 2.4m (8.7pc), SA 1.1m (4pc), Tasmania 0.7m (2.5pc). Not included in the Angus figures was the NT, 2.1m (7.7pc). 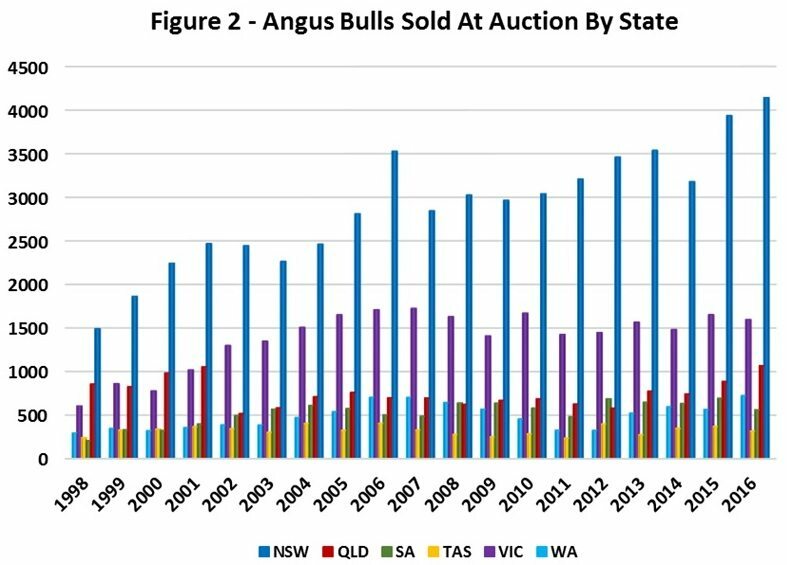 Angus bulls sold at auction in Queensland has increased from 600 to 700 bulls sold annually during the period 2006-11 to more than 1000 bulls in 2016. Mr Byrne said this was consistent with a considerable increase in the number of private treaty sales of Angus bulls into northern Australia (QLD, NT and WA) in recent years. The average prices being paid at auction for Angus bulls each year in nominal (i.e. actual) and real (i.e. adjusted for inflation) terms are in Figures 3 and 4 below. When evaluating the increase in Angus bull prices, both in nominal and real terms, Mr Byrne considered what factors have driven the changes. Figure 6 illustrates the relationship between the average sale price of Angus bulls at auction, and the National Livestock Reporting Service’s Eastern Young Cattle Indicator. 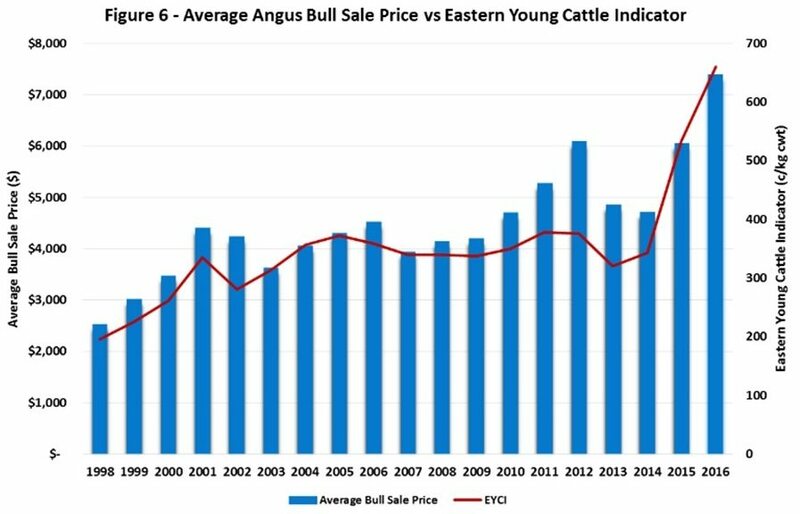 “The conclusion that can be drawn from this is that increase in sale price is predominantly a reflection of increased price of young cattle, as illustrated by 82pc of variation in bull sale price being accounted for by changes in the EYCI,” he said. Similarly, it was also concluded that the increased demand for Angus bulls is not leading to an increase in sale price, with the Angus seedstock sector appropriately increasing the number of bulls being offered for sale each year and keeping the demand/supply balance of bulls unchanged. Are today’s bulls better value for money? When considering the average price paid for Angus bulls at auction, Mr Byrne said it was important to recognise that the genetics of Angus bulls in 2016 bore little resemblance to genetics of Angus bulls from 20 years ago, with the Angus seedstock sector continuing to make genetic improvement at rates that surpass any other recorded beef population in the world. 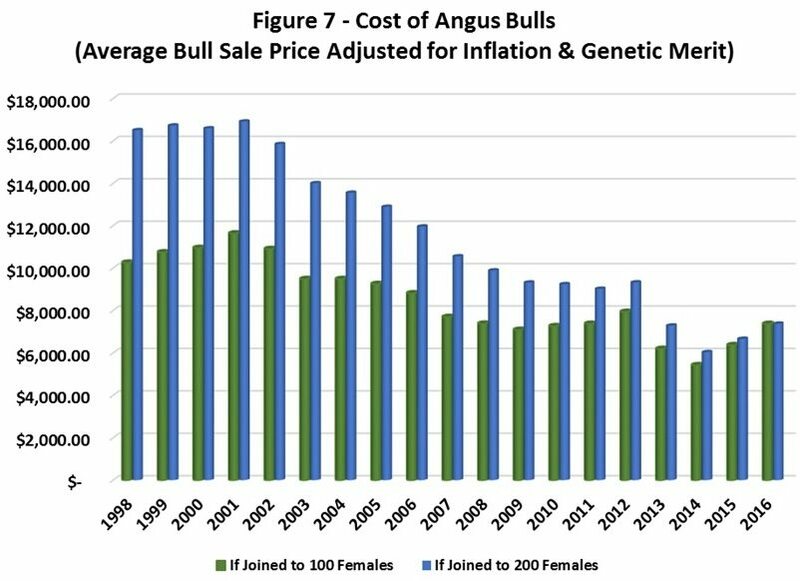 Figure 7, below, explores whether Angus bulls now represent better value for money, by adjusting average bull sale price at auction (in real terms) for the genetic merit of the bulls being offered. The lower genetic merit of bulls in past years is modelled as an ‘opportunity’ cost, and added to the average bull sale price. The opportunity cost differs subject to the number of females to which purchased bulls are subsequently joined over their breeding life, with values provided if bulls are joined to 100 or 200 females respectively. 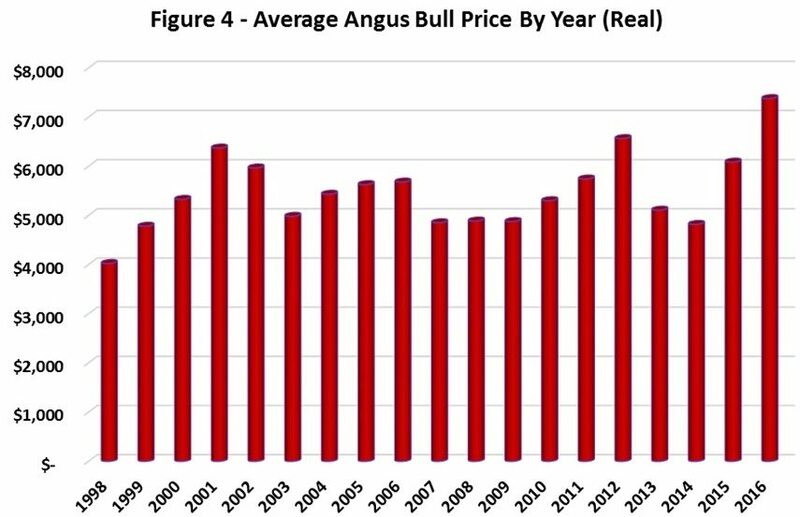 Figure 7 clearly illustrates that the increase in the genetic merit of Angus bulls is outpacing the increase in average bull sale price, suggesting that Angus bulls now represent better value for money than at any time in the past 20 years. The values in figure 7 represent the increased profitability of Angus genetics across the entire beef supply chain, from conception to slaughter, and so the increased profitability may not all be realised by the bull purchaser. What is the future for bull prices? Next week: We take a look at 2016-17 seedstock registrations for all beef breeds, being released on Wednesday as part of the Australian Registered Cattle Breeders Association’s annual general meeting.